Oh, Aimee! I sat in tears as I read this. I’m currently on a self-funded leave year from teaching, 6 years from retirement, and trying to figure out what that dream might look like. Thank you for this. A big part of this year’s plan is purging the stuff I really don’t need, to make room for the things I do to breathe, and take root. Thank you so much for this. How brave and beautiful you all are. Thank you for that, Lisa. And thanks for reading my epic post. It doesn’t feel brave, mostly because my spouse and I are united in this step. Moving to Quebec was a lot more terrifying as a 19yo. 🙂 But I know what you mean. And I hope that you keep searching. Come visit and bring your kids to check out Dal. We are so excited for you all! Good luck with the house sale and move. It will be hard work, but speaking from the other side – worth it. So excited to see how this unfolds for you and your family. My husband is racking up Porter Air miles as he now commutes from Boston to Toronto each week. We’ve already talked about making a family trip to Nova Scotia and the surrounding areas to put those miles to good use. 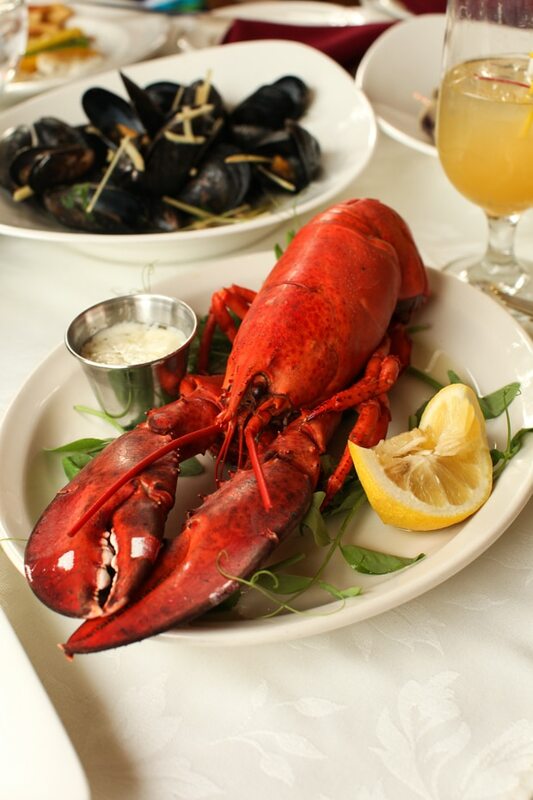 Hope to see you settled into the food scene by the time we make a visit! I’m excited to see how it unfolds, too! Heh. Oh my gosh, I HOPE you do a Nova Scotia trip. This is all very exciting! What a time for all of you as you look towards the future of your family. Our family recently moved from Timberlea (the outskirts of Halifax) to Windsor, a very small and quaint little town. I am a good friend of Breanne’s and would love to meet you sometime once you’re in the area. We’ve got three kids as well. Two girls (9,7.5) and a boy (4.5) . I also grew up in the French school board In Halifax if you have any questions in that department. Look forward to having you all here on the East Coast! Whoa! I’m so excited for you and your family. The very first blog I fell in love with was written by a woman from St. John’s her friendly, family style drew me in to the world of blogging. I can imagine, as you describe your feelings about Halifax, you’ve been drawn there for the same reasons. Kindred hearts always seem to find a way. I’m excited to hear more about your eventual home sale and migration. New is always exciting and I’m sure you’ll find a welcoming community and new adventures. I wish you the very best and am looking forward to a lot of new recipes from the seaside. Thanks for the well wishes, Robyn. I’ll definitely be sharing bits and pieces of our journey as time moves us along. How exciting!! I love your blog and look forward to hearing more about your move. 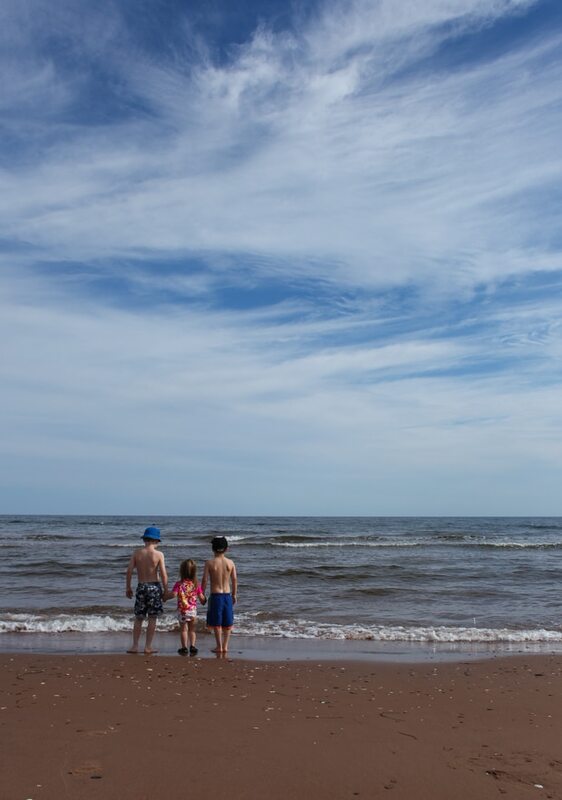 We went East this summer for a wedding and toured NB, NS and PEI. Loved Halifax – both DH and I said “we could really live here”! Lunenburg also stole my heart – I was so not expecting that! FWIW, we moved to NWON a few years back (the kids were 10 & 12) and they are fine! It *was* a rough transition but all is well now!! Lunenburg just keeps getting better and better. Love that you have toured the East Coast. It’s a gem! Oh Aimee! So so excited for you and your families next adventure. And you know the sea has my heart, so I’m very approving of this move towards the coast. Can’t wait to see what unfolds! I knew you would approve! I’m just up the coast from you. 🙂 Can’t believe I will finally live by the sea for the first time in my life. I forget how lucky I am to live here and your description of brought tears to my eyes. Welcome to the Maritimes, where the kitchen party never ends! Thank you Jasmine. I like the sound of an extended kitchen party for sure! How exciting!! I hope you will enjoy the transition time as well as relocation! Your present homestead is beautiful and I’m sure the right owner will fall in love with it as you did. Good Luck!!! Edit it that to say your! Lovely blog post. I hope your move goes seamlessly. I live in Halifax. We moved to Ontario for a few years, and my heart ached for Nova Scotia the entire time. So on a whim, one weekend we put our house up for sale in Ontario and I requested a job transfer. We were in our new home in Halifax in less than 3 months! And we are loving it! You have described Nova Scotia so perfectly. Good luck and I look forward to hearing updates! Sandria, that is an amazing story. What a step! I love it. and that is great that you are happy. I mean, why settle for less, right? Thanks for introducing yourself. I am coming to Halifax on my book tour in November…..maybe we’ll meet! I would love to meet you on your book tour. When and where will you be in Halifax? So my Halifax event is November 20 in the evening. We are still firming up a location. But you can book the date for now! Beautiful writing, Aimee!! I can definitely hear you soul through these words. Big moves are daunting and come with a lot of struggle before and after they happen but at the same time you simply HAVE to go if that is where your heart is. I know from a personal experience. Sending lots of love from London. Thanks for chiming in Valerie! You are such a world citizen – I love it. And I’d love to got back to Switzerland with the family one day. You are right, I’m extra excited to visit Halifax on my tour. I’d love to meet you! Maybe we can connect at the book tour….and as for the future, well that remains to be seen. I think we may end up out there by July/August next year, but I can’t say for sure. Thank you for sharing this next step with readers, Aimée. I’m a Canadian ex-pat who was drawn to the Appalachian mountains by that same sort of pull that draws you to the Maritimes. It is a fantastic thing to find the place that feels like where you are supposed to be. Good luck on your journey further east – I look forward to reading all about it! Thanks for the encouragement, Jess. I love your story. And thanks for reading! Just saw this briefly on IG and had to pop over to see the new post! I am so happy for your family, it sounds like everyone is excited. 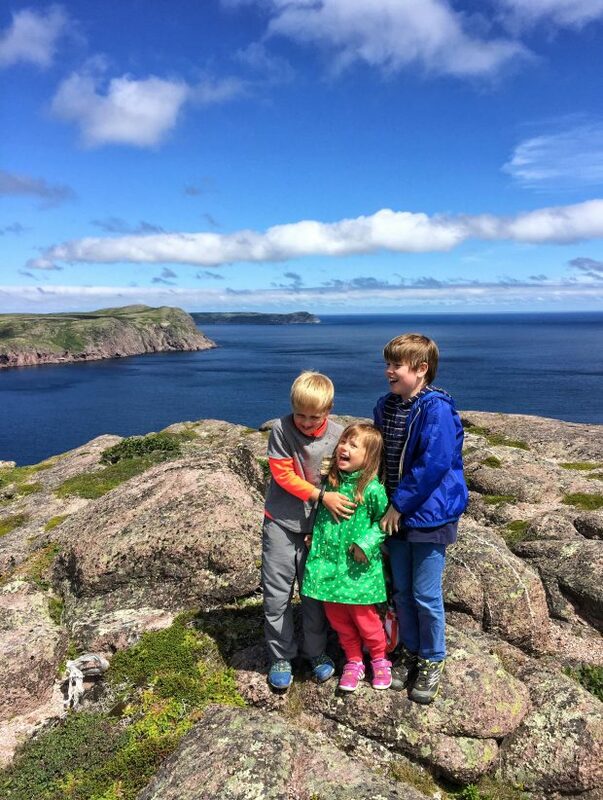 I’ve always wanted to visit the Maritimes, first because of Anne of Green Gables of course, second from a couple in our family’s experience in Halifax for a few years (they *loved* it) and third because of all your gorgeous traveling photos! We will definitely get out there at some point. It looks absolutely stunning. And oy vey can I relate to the traffic piece! Sarah, we are all pretty excited! And this post…the sale of our home…everything is starting to get very real. Anne of GG is the best – and PEI is so fun. I hope you DO plan a trip. 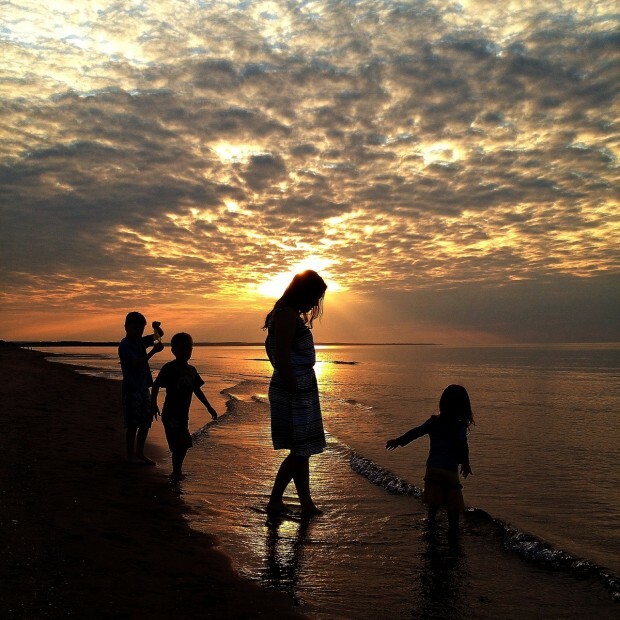 Me and my hubby did a similar thing.. From Joliette, Quebec to just outside of Shediac, New Brunswick with our 3 kiddos! You will love it! Cant wait to see more posts about your journey. Wow! Isn’t that the lobster capital of Canada? Love it! It’s funny, because we were just saying my husband and I, how we would love a change of pace as well. We would love to leave our Plateau apartment to buy a Bed and Breakfast in Charlevoix or other more slow and beautiful places in the rest of Québec. I am sorry for your disenchantment for québec. This lack of kindness you and others seem to feel I personally find in EVERY big city I have had the chance to visit, It’s the sheer presence of too much stressed out people living in a multicultural melting pot of different cultures they don’t always love to bear in close proximity. I remember hating my visit to Toronto, crying in the streets with my luggage in London as no one would help me find my hotel, being totally disenchanted by the smell of pee in the Paris metro and how rude people were to tourists, etc, etc. Places like Halifax or any other small town where people have slower lives and are surrounded by nature are ALWAYS more pleasant, and I think that once you look, there are tons of those in the rest of Quebec as well. The language barrier is something else. I was born from french Canadian parents and my husband emigrated here from France. So french is our first language and thus it is much easier to communicate and feel at home. That said, I hope you find what you dream of in the maritimes. Looking forward to a lot of new sea food recipes from you after your move! We started in the Plateau, too, many years ago. And in a way, it was perfect for us then. But I think we all grow and evolve – like trees- and we can outgrow our habitat. Keep examining that pull, who knows where it will lead you. You make a very good point about cities in general. Thanks for sharing that. Aimee, Congratulations on you and your family’s decision to follow your dreams. The photos show the exquisite beauty, but your words express your depth of feeling for the lifestyle you are about to embrace. And so, the adventure begins! Thank you, Patti. That means so much. And yes, good times ahead! So many people dare to dream, but only a handful actually put the wheels in motion to make those dreams happen. How wonderful that you and Danny have flushed out that dream together and are now actually doing it! 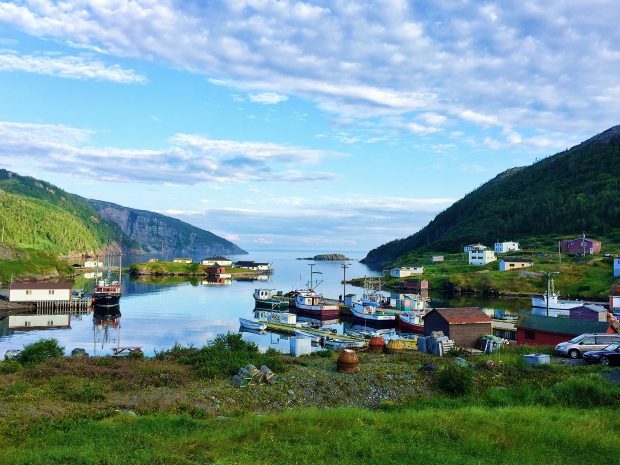 I have yet to visit the Maritime provinces, though am always drawn to it by the stories my mum tells of living in Gander, Newfoundland for a couple of her teenaged years. It sounds like a wonderful place for you to put down roots for your family and I wish you all of the joy in the journey ahead! First of all, your mom sounds cool! 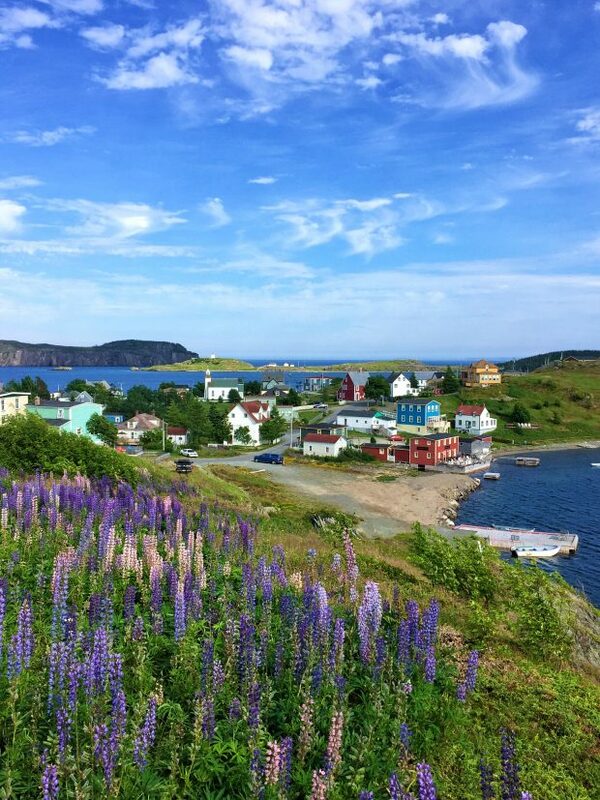 Newfoundland is awesome. I am excited for you. It was always my dream to move back to Nova Scotia. Now my children and grandchildren are here (in Ontario). You’re right about it being the right time for your children. If they were older, the move could be more difficult for them. I wish you success in finding the ‘right’ property. Your current home looks inviting. I hope everything comes together smoothly for your family. Thanks Judy. I mean, I can only hope and pray that is is the right move. But I clearly remember moving at 12 and it was a good thing. I loved exploring a new neighbourhood, new trails.. I applaud your decision to make such a big change for a better lifestyle, and I totally understand your draw to the Maritimes. It is such a peaceful place. I’m sure that your journey with finding a new home and all that is involved will be an exciting one! Thank you for your heartfelt support and sentiment, Cathy. I’m so encouraged! Hello from the Annapolis Valley! I am a huge fan of your books (I first found Brown Eggs at the most charming coffee shop in Berwick NS-North Mountain Coffee!). I once lived in Montreal, and in the Yukon too… so I feel like our lives have taken us on similar paths! 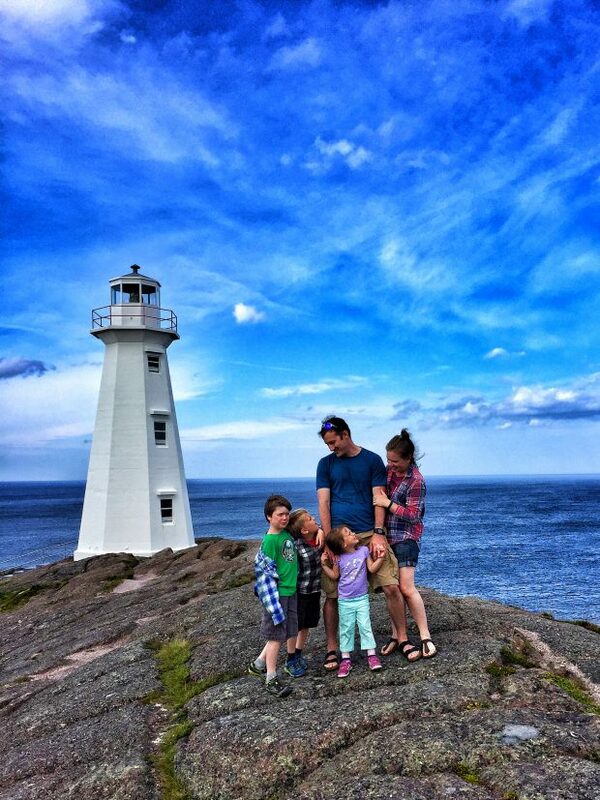 We moved to NS 2 years ago for similar reasons (although we are an RCMP family… so that plays into things). Wish you all the best and hope to be at your Halifax book signing! Johanna – hello! Thanks for introducing yourself. I’m thrilled. And a Montreal/Yukon connection? This is indeed a small world. I’d love to connect at my signing. Hopefully I’ll have details for that narrowed down soon. hiiii the BIG announcement! I am so excited for you & your family, Aimée. HIIII! 🙂 Thank you so much for your support, Christelle. It means so much. I can’t even think about how much I will miss you girls – so I’m not gonna think about it! Dreams are what the best of life is made of! Speaking as someone who moved to Halifax 5 years ago without setting eyes on it, I’ll tell you it was one of the best decisions we made! The people are friendly! The landscape breath-taking! Wishing you the best in this new chapter. Ok, now THAT Is a leap, Kris! Hat’s off to you. And very encouraging to hear how it worked out. Thanks for the well-wishes. Changing lifestyles is very enriching. The scary transition period when there’s so much to do and the future is uncertain and everyone is way out of their comfort zone. It makes you feel so alive!! My husband and I moved to France with two young children for a year…that was 24 years ago! By the way you have fans here in my village…I’ve had to translated a couple of your recipes for them as they don’t speak english. Your blog is great and I’m looking forward to following your adventures. How inspiring, Gail. Thanks for sharing your success story. I agree completely. I’ve had a few choose-your-own-adventure experiences in my life and the open-ended ones always proved to be the best. Thanks for reading! And sharing my work with your community. That is incredible. Good for you! Slowing down enough to clearly define dreams and then set the steps in motion is what many of us wait years and years to do. What an encouragement to not wait and make it happen now. I’m so excited for y’all, Aimee, and can’t wait to follow along with your new adventure. Well thank you for that, I really appreciate the support. It certainly hasn’t been easy, and we asked ourselves over and over if we were just crazy (mostly me). But we’re mostly just excited now! Oh enjoy Chasing Slow. It’s hard to put down. How exciting for you and your family! the East coast is on my bucket list! Is it? Awesome. I think more people should explore this unique corner of Canada. So good for you! I’ve lived in NS my whole life (in the Annapolis Valley) and your descriptions of this province gave me chills, even though it is nothing new to my ears. I think those beautiful words alone, speak volumes for your passion towards this move! Congrats, and an early welcome to our beautiful province! Hi Aimee! I’ve been a longtime subscriber to your blog and I think this is the first time I’ve ever commented. I grew up in rural, southern Cape Breton, went to university in Halifax, lived there for another 10 years and in the past five years or so moved back to CB. I think your reasons for wanting to move to Nova Scotia are absolutely heartfelt and I truly hope you find what you’re looking for here. Both Halifax and NS as a whole definitely have a slower pace of life, and a warmth that I think will feed your soul. If you decide you want to live somewhere gorgeous but a little more removed (3 hours from Halifax), check out my hometown, Isle Madame. I love your story and we will have to check out your hometown one day. I can’t wait to explore CB more – especially in fall. And yes, let’s connect once I am out there and settled. I live in NB, and extend a warm welcome to the Maritimes!! Hopefully your move will go smoothly and you’ll be settled in NS before you know it. Very exciting times! Thank you for the early welcome, Alicen. Exciting times indeed. I am a Maritimer! My home now is in New Brunswick but I grew up in Kentville, NS and have family in the Annapolis Valley and Halifax. You will love it! Hope everything comes together in a wonderful way for you! So exciting!! The pictures are so pretty. The one of you and all 3 kids in the sunset at the beach is just dreamy. We’re listening to Anne of Green Gables for school currently (we homeschool our boys who are 8, 6, 4, and 1) so some of that enchantment is especially heightened for me. Hehe. I’m from Florida, so the ocean and the east coast always will feel like home to me, even if I live in Chicago for the rest of my life. 🙂 Looking forward to following along on the blog. Anne is the best! My boys love the movie although they might not admit it. 🙂 Thanks for following along! Wow, I am so happy for you guys! I love the Maritimes as well, particularly PEI, and hope to own a property there one day, but many years down the road. I’m looking forward to following your new adventures! Thanks for following! Keep dreaming big. This was beautifully written, and I completely understand the draw to a slower paced life in a beautiful, friendly seaside town. I’ve never been to the maritimes, I’ve lived in Quebec my whole life, but you have sparked a desire in me to see that part of the country. I also have a dream of moving out of Montreal, to a smaller (but not tiny, town. I have been focusing on southern BC as my “one day, maybe” dream. But now the martimes are calling me too. I’m looking forward to reading all about your moving adventures and I wish you and your family nothing but the best. Thanks for the kind wishes and I wish you all the best as well! I understand the pull, the rightness and the uncertainty of following that tug. Thank you for sharing your story. I’m so happy my home has captured your imagination. Carlie, congratulations on a big step! That is really exciting. And the second person in this thread living in/moving to Windsor. A homestead sounds just lovely. That area is super special. I’m glad you could understand – and for reading my lengthy post! So which of Clara’s cakes does Annika prefer? Annika loves the chocolate best. We’ve had that one for two years in a row. It’s an incredible cake, that banana. Thanks. I’ll take all the hugs I can get! Congratulations on your move. I’m sure I’ll encounter both of those feelings at some point. I’ve enjoyed your blog and recipes for quite awhile now. I am a west coast girl while has spent the last 16 years living in the land of potatoes and Anne. I love it here and NS is just as incrediblee. Hi Angela, well that is encouraging! Love that you’ve made the transition so well. We love PEI too! You asked for readers from the Maritimes to connect. My husband and I went through a process similar to yours over the past seven years. It began first with a business trip that we extended and slowly the salt air and seawater seeped in. A few more trips east confirmed our resolve. We embraced the community, the climate, the people and then hoped that our Ontario property would sell so we could realize our new dream. It took a while, a long while. However, patience rewarded us and we now call the Annapolis Valley home for the past two years. We are at a different stage of our life, no young children to aid in the introduction to the community. Our interests and activities have given us a running start meeting new friends and we feel rooted here. Good for you to follow your dream. May you be as happy here as we have been. I’m resolved to be patient, myself. Thanks for the encouragement. We still have so much exploring to do. Send me your Yarmouth recommendations. And watch this space for updates on our move. This is so very exciting. Sherrie Graham and I both live in the Yarmouth area and our kiddos play sports together. This end of the province is spectacular, but as you have seen already there are so many spectualr parts of Nova Scotia. I’m a transplant from Alberta, who moved for university and this place and people just stole my heart. 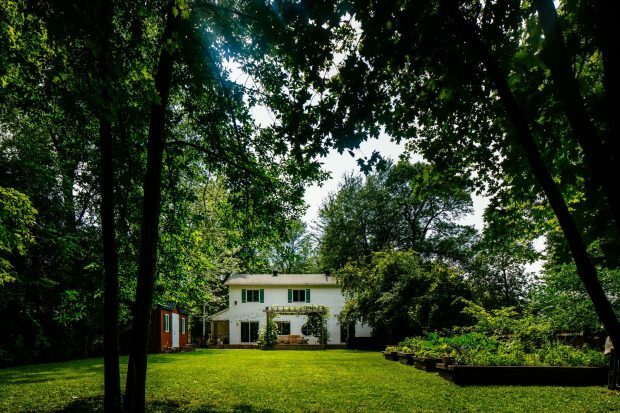 Fifteen years later and I am still living here with my husband and three kiddos on a beautiful piece of land with chickens and cats, a garden and lots of woods. What an adventure you are taking to move east and to one of my favourite places. Oh Aimee! I am so excited for your family! My husband and I were both raised in Nova Scotia. Shortly after we married, his job transplanted us to Toronto. We started our family there and had a good life but it was always our intention to come “home”. And we did in 2013 after 13 years! Our kids were 11, 9 and 6 and although the oldest misses Toronto and her social network, everyone has settled nicely! We built a ocean side home (near Crystal Crescent – which I think you visited on your spring trip!) and have never looked back! Life is soooo good! I wish you the best in your journey to your new “home”. Look forward to reading all about it! Perhaps our paths will cross at the beach someday! Aimee I read with a smile and a tear. I’ve had the same debate for 4 years and it sits in the back of my mind nagging at me. My Ontario pace doesn’t allow people to be kind. We’ve taken all available space in our hearts and filled it up. When I’m out east I believe in community again! I’ve debated if it is just “vacation mode” but if I’m listening to my gut it’s more. I’m so reassured to hear that omyor gut said something similar. hey girl- love the post! I’ll be praying for you and your family. Have faith. God knows what is best!